The Republic of Mieliepop is happening at Tolderia Resort, near Lothair, Mpumalanga on 21-24 March 2018. And we’ve got a double ticket to give away to one lucky reader! 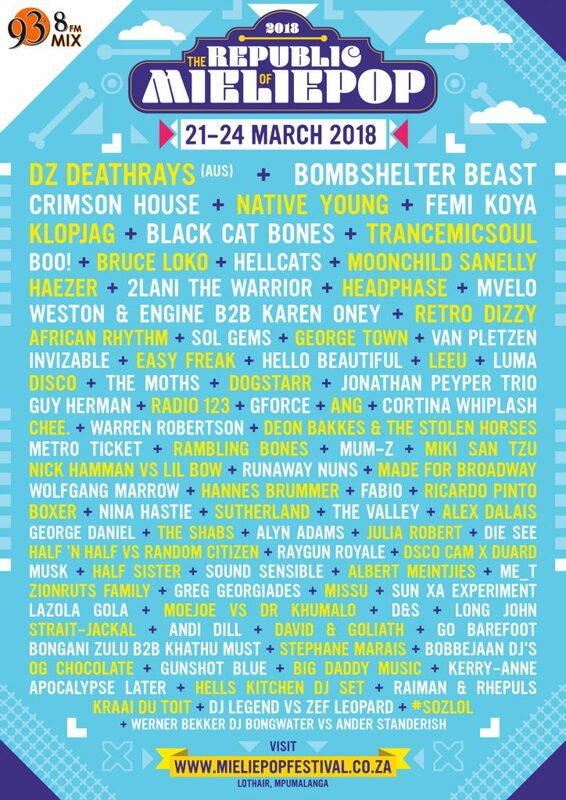 The festival has announced their full lineup, as seen below, with Australian band DZ Deathrays being a particular highlight. ENTER OUR TICKET GIVEAWAY BELOW! TheFlow.co.za is an entertainment blog run from Gauteng, South Africa.